Last week while teaching my career development class I asked the question, “Does anyone know what an introvert is?” An extrovert yelled out, “Yes, introverts don’t like to talk.” I said, “Wrong, we do like to talk, just with people that we are comfortable with and not a room full of people we don’t know.” I looked around the room and could immediately tell who was an introvert because they were smiling at me. I said, “We also think before we speak instead of saying the first thing that comes to our mind.” I looked around the room and the introverts were now smiling AND nodding. I asked another question about going to networking events, and one of the girls who has never said a word in class spoke up for the first time! Contrary to popular belief, introverts are not all shy bookworms who don’t like to talk. The difference between introverts and extroverts is not social skills. It is the way we recharge after being around people and how we re-gain energy. I first realized what an introvert was after I took the Myers-Briggs personality test at my first job out of college. It was then I realized that there wasn’t anything wrong with me because I wasn’t outgoing. I realized that I could be successful even if I didn’t speak up in my college courses. 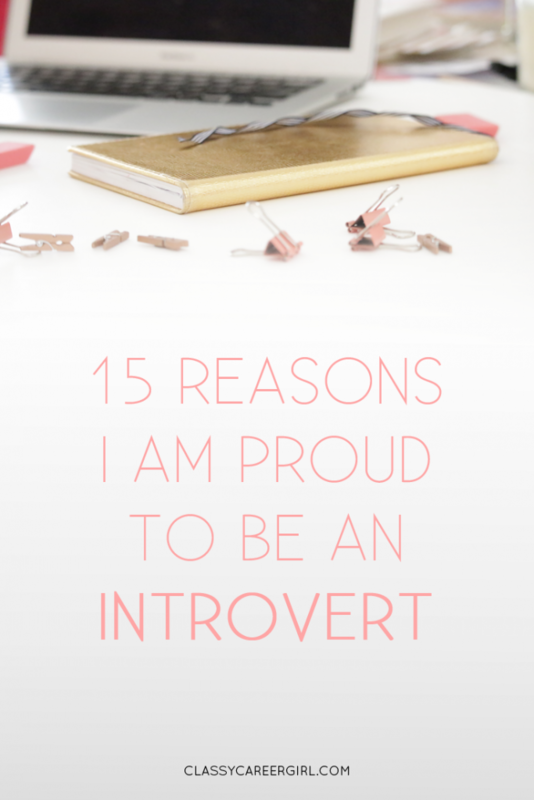 I finally found more confidence because there were plenty of positive things that I was proud about being an introvert. Today, I want the introverts in my class and those that read my blog to know that they aren’t alone and there is nothing wrong with them if they are an introvert. After class, I spoke to another introvert who was telling me that he doesn’t want to appear stuck up but social situations with his friends are really hard for him in big groups. I think this was the first time anyone had ever told him that it was OK to be an introvert. He just had always been really hard on himself not thinking he was good enough. He asked me if I thought I was still an introvert now that I am a Professor. I said 100% yes. Just because I am now more comfortable speaking to a room full of people doesn’t mean that I am not completely exhausted after class. It does come easier but you have to force yourself out of your comfort zone and face your fears head on. I think before I speak so I almost never say something I wish I hadn’t said. I get a lot of stuff done at work because I can focus without talking to other people. I can concentrate for long periods of time. I have very close friendships and relationships instead of a ton of acquaintances I kind of know. I can talk for hours about something I am passionate about. Just ask me about blogging. I am calm during stressful situations at work and very thoughtful when handling problems. I consider my actions before taking them which my clients appreciate. My clients know that they can trust me because I have thought and analyzed any action I am plan to take. I am a great listener and empathetic. I can put myself in someone else’s shoes very easily. I think I may actually give better presentations than some extroverts I know because I prepare, prepare and then prepare some more. Presentations usually go well for me because I say everything I want to say because I practiced ahead of time. After some practice, interviews aren’t extremely difficult for me because I am able to succinctly answer the interviewer’s questions rather than talking too much. I am also great in one-on-one situations so I can nail one-on-one interviews. Because I don’t speak up that often when I speak up now people listen because they know it’s important. Quiet time rejuvenates me and I love my peace and quiet. If I was an extrovert, I would probably not be able to blog so much because I would be at a happy hour. I don’t like small talk at all. I want to go deep fast and get to know you. I am never lonely. Give me an entire day, a good book and my computer and I am happy as can be! I am independent and don’t care that much about what other people think of me. (Note: I have not always been like this but every year it gets easier to be who I really am and not care about trying to fit in with the crowd). I know myself pretty well because I have thought a lot about my strengths and weaknesses and pretty much over-analyze myself on a daily basis. I learn a lot from other people in the classes I take. Just because I don’t always raise my hand doesn’t mean I am not listening. I am taking in every word that everyone else is saying and thinking about it. I know I am not alone and I hope that you also know that you are not alone if you are an introvert. Be proud of who you are and don’t compare yourself to anyone else. Have you taken the Myers-Briggs? What have you learned about yourself after taking a personality assessment? 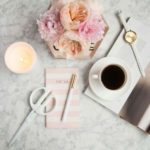 Happy Two Year Blog Anniversary Classy Career Girl!